Today is the release date of THE RECKONING BY KELLEY ARMSTRONG! Yay! This is the final book in the Darkest Powers trilogy, which started with THE SUMMONING and THE AWAKENING. You’ll probably have noticed from the layout (and my incessant squee posts) that I am a huge fan of these books. 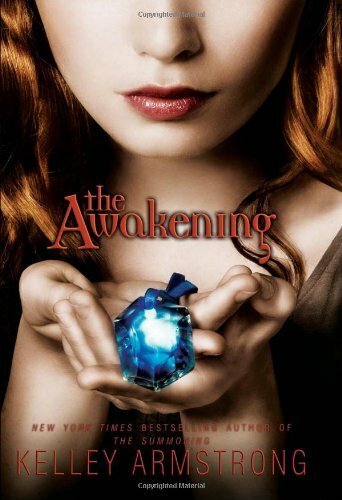 While most people got into YA because of the Twilight books, I got into the genre because of this series! The books are action-packed, and far too easy to devour. And they are packed with paranormal beasties: werewolves, necromancers, ghosts, evil!humans, and witches, oh my! The Summoning Summary: Chloe Saunders sees dead people. Yes, like in the films. The problem is, in real life saying you see ghosts gets you a one-way ticket to the psych ward. And at 15, all Chloe wants to do is fit in at school and maybe get a boy to notice her. But when a particularly violent ghost haunts her, she gets noticed for all the wrong reasons. Her seemingly crazed behaviour earns her a trip to Lyle House, a centre for ‘disturbed teens’. At first Chloe is determined to keep her head down. But then her room mate disappears after confessing she has a poltergeist, and some of the other patients also seem to be manifesting paranormal behaviour. Could that be a coincidence? Or is Lyle House not quite what it seems…? Chloe realizes that if she doesn’t uncover the truth, she could be destined for a lifetime in a psychiatric hospital. Or could her fate be even worse…? Can she trust her fellow students, and does she dare reveal her dark secret? Only two weeks ago, life was all too predictable. But that was before I saw my first ghost. Now along with my supernatural friends Tori, Derek, and Simon, I'm on the run from the Edison Group, which genetically altered us as part of their sinister experiment. We're hiding in a safe house that might not be as safe as it seems. We'll be gone soon anyway, back to rescue those we'd left behind and take out the Edison Group... or so we hope. SPOILERS for the first to books. But most are rather vague… if you aren’t a hard-liner, you should be fine! Thoughts: It is so damn hard to write reviews for books you love, so I apologise in advance for the incoherence! I had been holding my breath for a year waiting for The Reckoning to come out. The first two books in the series were absolutely fantastic – action packed with a very subtle romance tension that made my stomach flip. So needless to say, getting my hands on the last of the Darkest Powers trilogy as exciting as getting a new Harry Potter book as a wee girl. Where to start? Well, Armstrong successfully managed to include plot twists and turns I was completely unprepared for. Considering I had had a year to think it over, I thought I had a pretty good idea how this book would go. I was so wrong! The action was violent, sudden, and unexpectedly terrifying – and intensely emotional. Chloe and Derek had to do some things they really weren’t ready for, and it pained me to read what Armstrong put them through. Only that angst? Made it the book all the better. We also got a great look at Tori’s character. She was such a villian in the first book in the series, but The Reckoning has really made me like her. Apparently she can be just as good a friend as she can be an enemy (not that she’d ever admit to liking any of these losers!) Armstrong includes some very subtle hints at what lies beneath her bitchy exterior – Tori engrossed in The Count of Monte Cristo was one I was not expecting. I would love to read more about her in Armstrong’s next YA books! I am not going to comment too much about the romantic triangle in this book – other than to say it plays a much bigger role and is dealt with extremely well. If you hadn’t picked up these books because of their lack of romance, well, you should have. Read all three at once, and you won’t be lacking for a thing. And how about the ending? Well, The Reckoning really does feel like the end of a trilogy – but not the end of a series. There are still plenty of questions left to explore, and plenty of characters you will want to hear more from. I was left totally satisfied, but also ludicrously excited about Armstrong’s next trilogy! Bottom line? 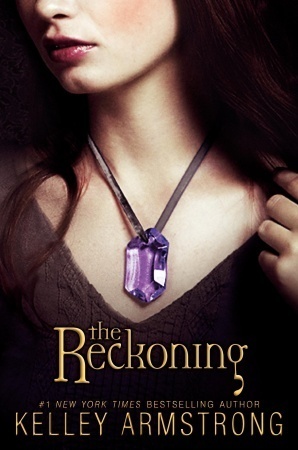 The Reckoning is the best book in an amazing trilogy and I would give it ten stars if I could! OMG I’ve finished it! What now? Armstrong is going to be publishing a new YA trilogy in the same verse, and Chloe should be featured in it (just not as the protagonist!) She also confirmed that she will be writing more books from Chloe’s POV – but we will just have to wait a while. To hold you off, read Kelley Armstrong’s short story Dangerous. It is from Derek’s POV set prior to The Summoning – explaining how he and Simon ended up in the Lyle House.